Before you purchase any kitchen cabinets, the Gainesville cabinet maker Busby Cabinets recommends that you several questions before you begin the process. By keeping the following questions in mind, you can avoid serious mishaps and obtain the cabinets that you have always wanted. We know how important it is to question the quality of the cabinets you are purchasing and that is why we have a number of options for you to choose from. Contact us at Busby Cabinets if you would like to learn more about our cabinet options or if you would like to begin the custom cabinet process with the top business that provides kitchen cabinets Gainesville, FL residents really trust. 1) How Do I Know These Cabinets Are High Quality? Some aspects of your cabinets must be in place if you want to ensure you have a high-quality cabinet. First, the measurements must be incredibly precise and accurate. The other quality that must be met is that the cabinets must be separate from the door. The door must also have its interior finished, not just the exterior. 2) What Kind of Joints Do They Have? This may seem like a finicky question, but it truly does make a difference in the durability of your cabinets. For cabinets that will last you for many years to come, you must make sure that they are using a dovetail joint. 3) What Color Cabinets Should I Purchase? There are several factors to consider when you are selecting color, including the overall mood that you are trying to create with the cabinets as well as how it fits in with the aesthetic of the rest of your home. 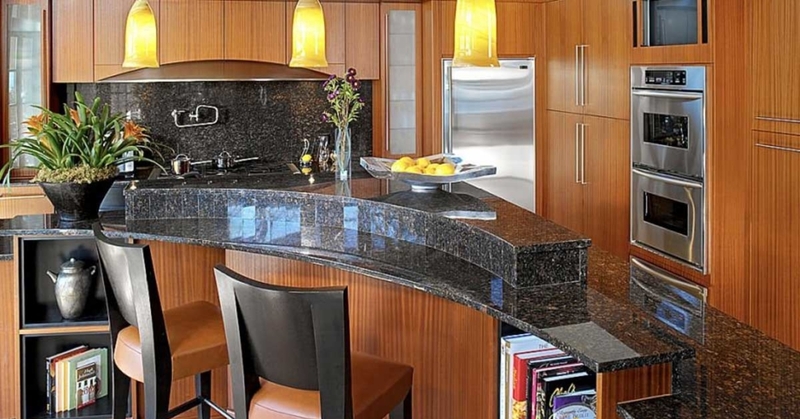 Consider these factors when you are selecting a wood for your cabinets. 4) What is the Best Way to Utilize My Space? When you remodel your kitchen cabinets, do not simply recreate exactly what was already in the space if this is not the most efficient way to utilize the space. A remodel is an opportunity to rethink a space and create something entirely new that will serve you much better. 5) What are the Cabinets Made Of? You get what you pay for regardless of what you are purchasing, and cabinets are no different. Make sure that you are getting a cabinet that utilizes hardwood or plywood to ensure that it lasts. 6) Do the Cabinets Have a Warranty? You cannot purchase cabinets from someone who does not back their products. A company should be willing to offer at least a one year warranty with their product. 7) Should I Have a Gainesville Cabinet Maker Install My Cabinets? Buying the cabinets and trying out the installation yourself can take a high-quality product and give it a low-quality installation. Professionals will carry out the installation properly and ensure high quality and durability throughout. Busby Cabinets has the kitchen cabinets Gainesville, FL residents recommend and we are here to get your custom cabinets installed properly the first time. If you are thinking of getting kitchen cabinets, contact the Gainesville cabinet maker Busby Cabinets, and get the kitchen cabinets Gainesville, FL residents trust.